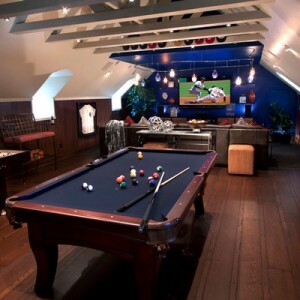 Is your significant other thinking of turning a space in the house into their man cave? Or maybe you are thinking of designing man cave to surprise your partner? Or maybe you are a man reading this blog trying to get ideas on how to create your own man cave. 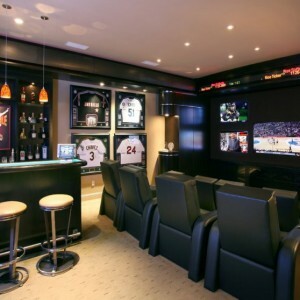 Today’s blog will be about how to design the ultimate man cave. 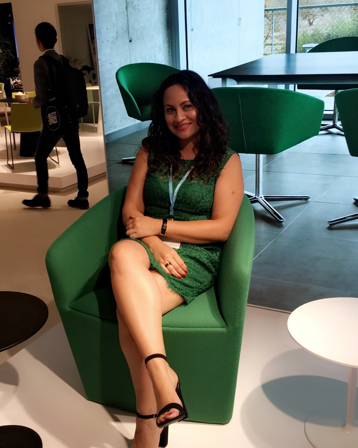 If you are thinking of creating a space that’s solely your partners, but you aren’t sure where to start, then keep reading. The man in your life deserves a space that is purely his own. Studio 9 is here to give you ideas on how to get started. First you have to know what your partner is mostly passionate about. Knowing what he’s passionate about is the most important factor when creating a man cave, as you want to choose a space that fits his passions. It could be working on cars or carpentry projects, or entertaining with friends and family, or watching sports and cooking. Once you have narrowed down his passion, then use that to choose which space in the house fits best. Picking the right space is crucial to get the most out of your ideas. 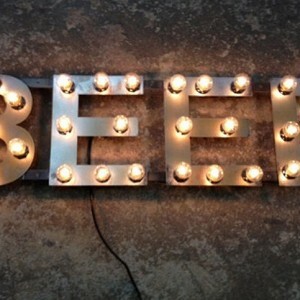 As in any design, I suggest you choose a focal point in designing man cave. It could be a flat screen TV, a display of collector’s items, a bar and grill, a personalized exercise space, or a trophy case to show off his proudest moments. What ever you choose will be fine because that’s what will describe him. Just make sure that you emphasize his passions through this focal point. Look into the logistics such as the amount of square footage you’re working with so you can properly allocate for all the amenities you want. There are so many options when it comes to designing a man cave because every man has different design ideas! A good place to start is with a theme or a color palette. Working with a theme is a lot of fun and allows you to decorate with memorabilia you might have collected over the years. Don’t forget to include the items you “cannot live” without. This might be a flat screen TV, surround-sound system, or a bar if you’d like! 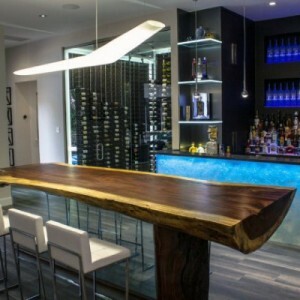 This idea is perfect for a basement as you can install a full service bar, perfect for entertaining your friends. The often go-to solution that people tend to use when designing man cave is to completely renovate their garage. There are countless organization and storage options for your tools and collectibles. The flooring options are endless, especially the ones that give a sense of luxury to the garage. You can easily install a full-fledged entertainment area! Transform your garage into a man cave with all the added comforts of your family room. Choose furniture that is comfortable and convinient such as a movie theater seats or recliners with customized cup holders, or recliners of your favorite sports team or brand. Display your most used tools out in the garage on a magnetized panel for easy access and organization, and include a Craftsman tool box that will keep your smaller nails, bolts and screws organized. For those that like to have a drink here and there, a great idea is to install a wall mounted beer bottle opener. Many men love to grill, so don’t forget to include a state of the art grill in your man’s indoor-outdoor space. If you need assistance in designing a man cave, call Studio 9!